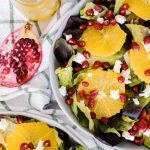 This fresh & colorful Orange Pomegranate Salad with honey orange dressing is a perfect dinner for two or can be enjoyed as a side dish for a family of four! Roger & I have been trying to incorporate more fruit & vegetables into our lifestyle. As vegetarians, we already eat quite a bit, but with a love for cheese & bread sometimes the veggies get pushed to the side of the plate. 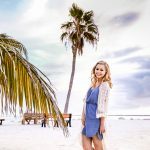 So I’ve been trying to come up with fun & zesty new ways to add more fruits & veggies into our meals through fun & bright new recipes. 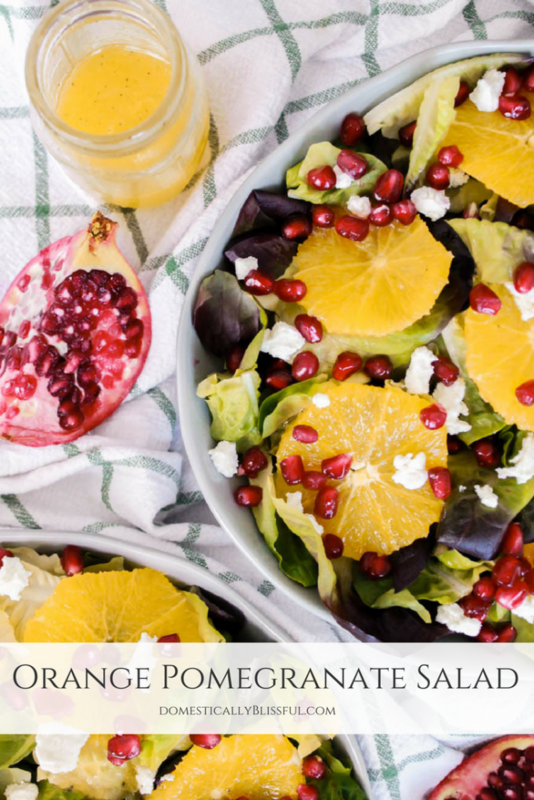 But since I love cheese so much, especially goat cheese, I decided it needed to be included in this recipe. 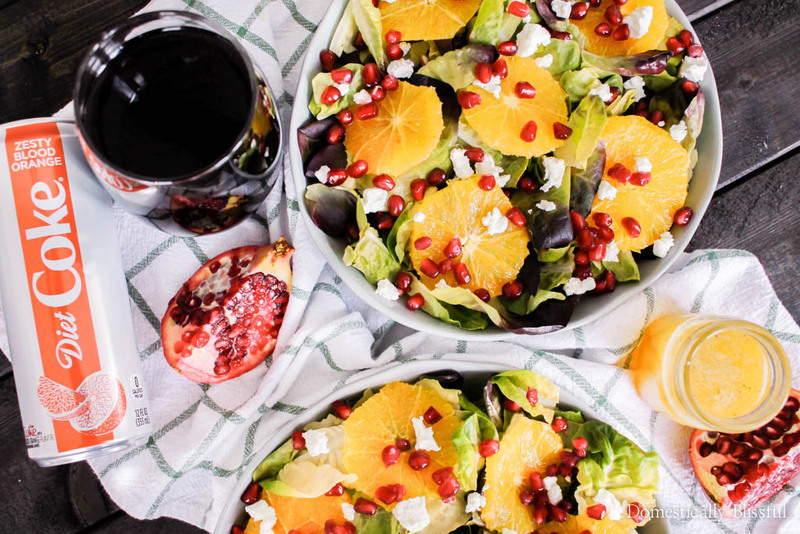 I’ve been wanting to create a recipe with blood oranges, but I can’t seem to find them anywhere. 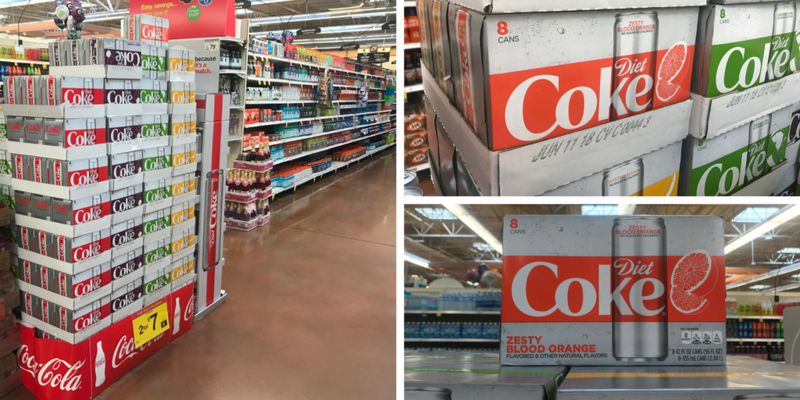 Luckily I have been able to find Diet Coke® Zesty Blood Orange at Kroger! 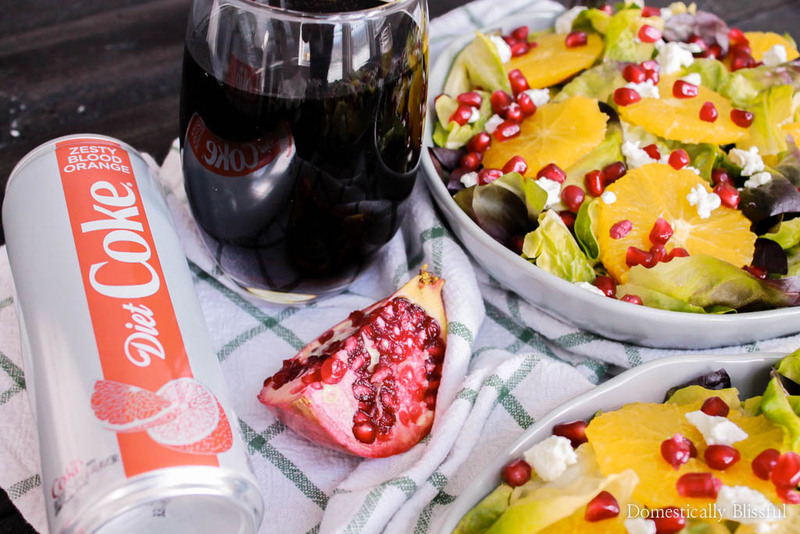 And this bold & unexpected-yet-refreshing flavor of Diet Coke’s new flavors pairs perfectly with this Orange Pomegranate Salad! Just last night Roger & I enjoyed the duo for dinner & it was a tasty hit! 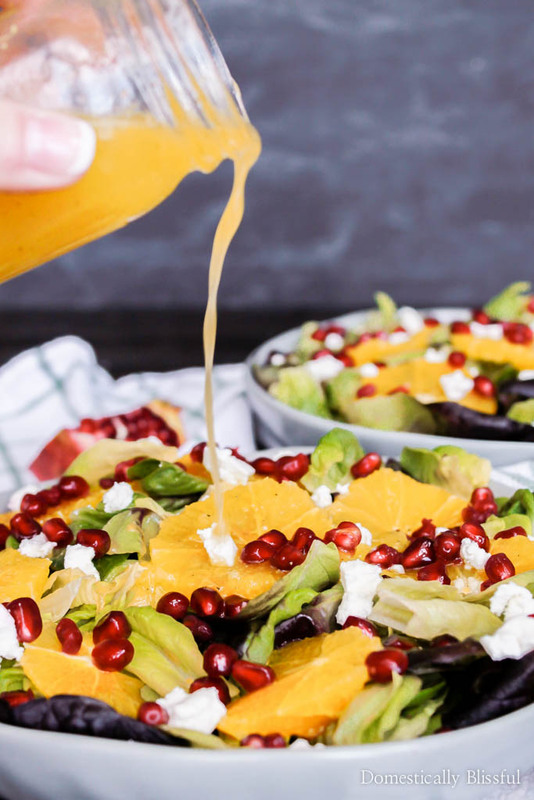 The honey orange dressing for this Orange Pomegranate Salad is incredibly simple & light and brings out all of the fresh natural flavors of the salad. Roger enjoyed it so much I think it may become a regular in our house. I used green butter lettuce & red butter lettuce this last time, but I may try it again sometime soon with arugula & spinach. 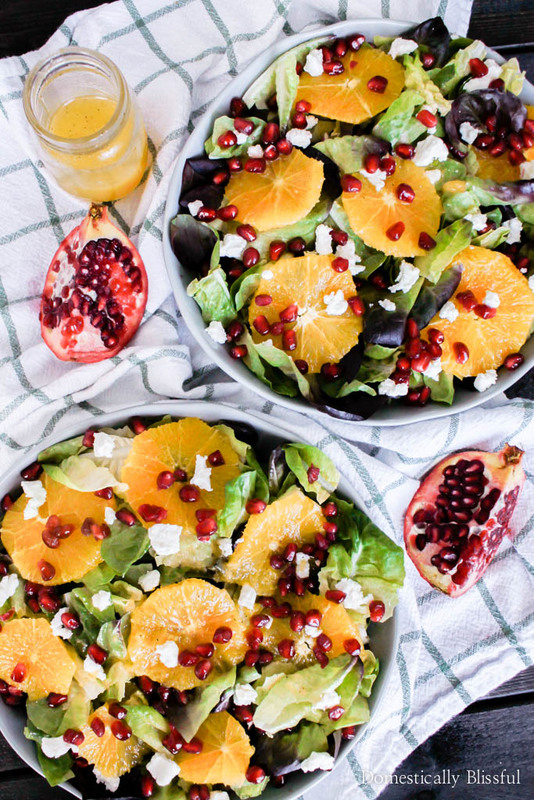 And since Kroger carries so many types of goat cheese (I even saw a pumpkin spice one the last time I was there) I may switch up the flavors of this fruit-topped salad by adding a different type, like herb or honey goat cheese. While I’m there grocery shopping, I’m thinking I should also pick up more of the NEW flavors of Diet Coke. We’ve already tried (& loved) the Diet Coke® Feisty Cherry & we still need to try Diet Coke® Ginger Lime & Diet Coke® Twisted Mango. 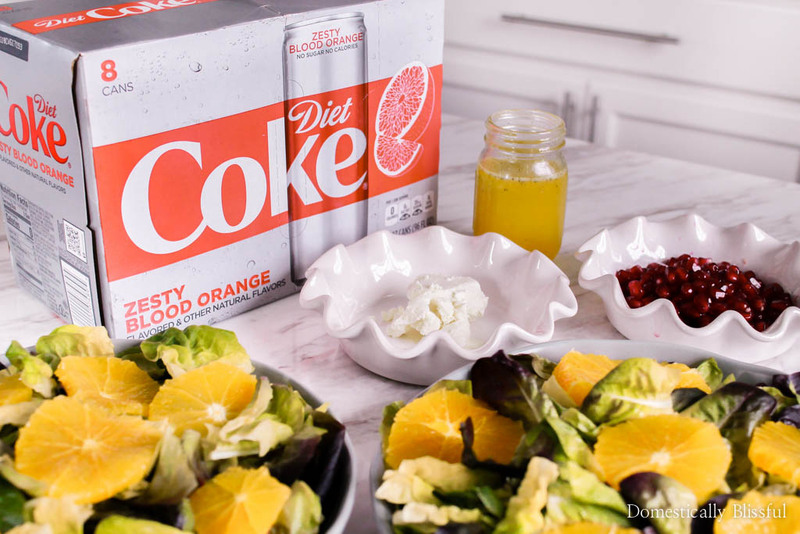 I should probably also pick up Diet Coke® Classic Diet Coke which still has the same great taste we’ve always loved, but is also getting a facelift to match the sleek cans of the new flavors of Diet Coke. You can find your flavor match by clicking here & taking this fun quiz! I’m thinking we will try the Diet Coke Twisted Mango next. And since all these new flavors are available in 8-packs or on-the-go singles, it’s easy to experiences all the NEW flavors at an affordable price! These new flavors of Diet Coke are giving me all kinds of flavor inspiration! And I’m also becoming really hungry & thirsty just thinking about it… Maybe it’s time for a little break because I really enjoy taking a break from the ordinary in my everyday routine with the all-new, flavor-filled lineup from Diet Coke. 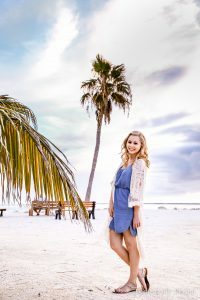 Especially as winter melts into spring, I have a feeling I’ll be taking a lot more breaks outside to enjoy the warmer weather! First, carefully cut away the orange peeling of both oranges & cut into thin slices. Set to the side. 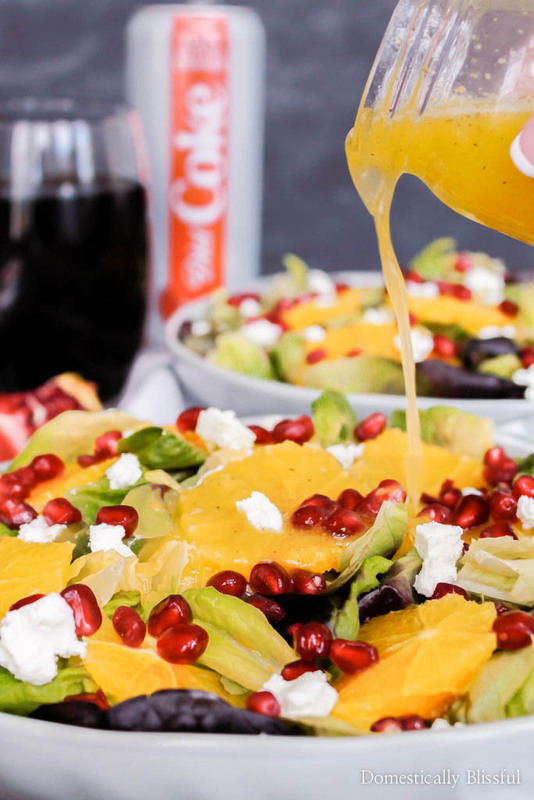 Add 4 tablespoons fresh orange juice, 1 tablespoon olive oil, 2 tablespoons honey, 1 pinch salt, & 1 pinch pepper in a small jar. Shake well before serving. 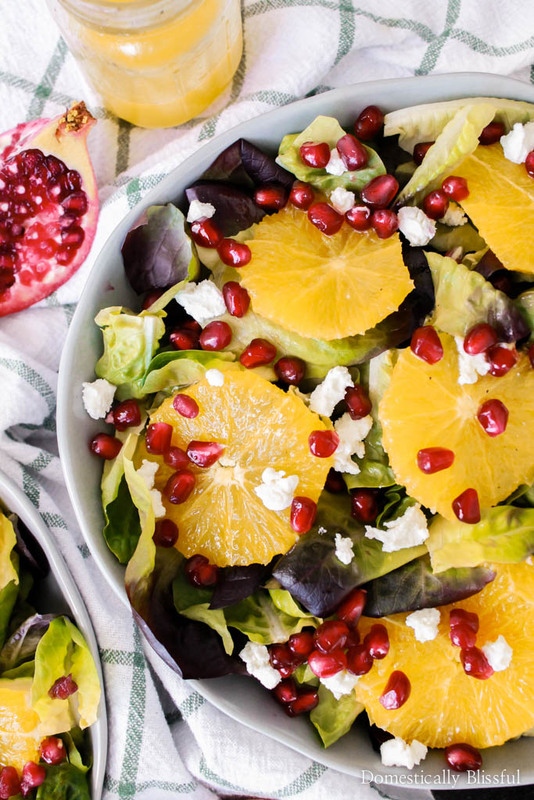 In 2 bowls add the lettuce & top with sliced oranges, pomegranate seeds, goat cheese, & honey orange dressing. *1. Serving size is two large portions or 4 side salads. *2. I squeeze a third orange for this. 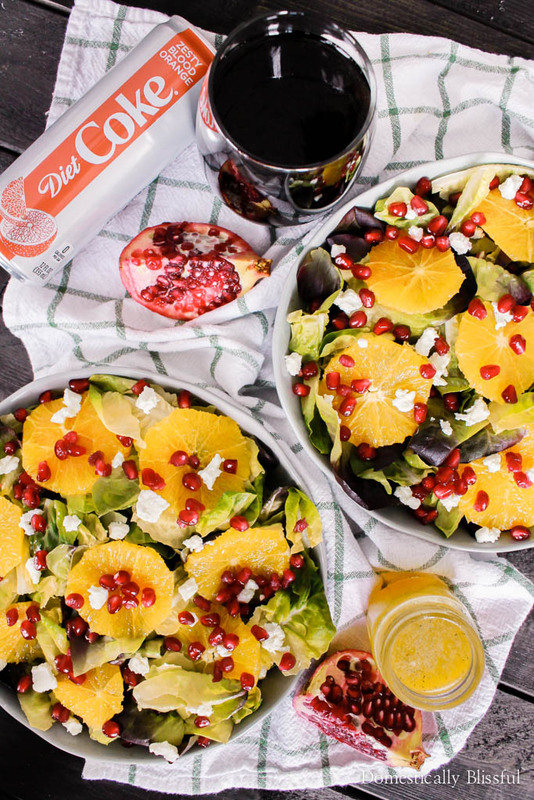 What will you pair with the Diet Coke Zesty Blood Orange? 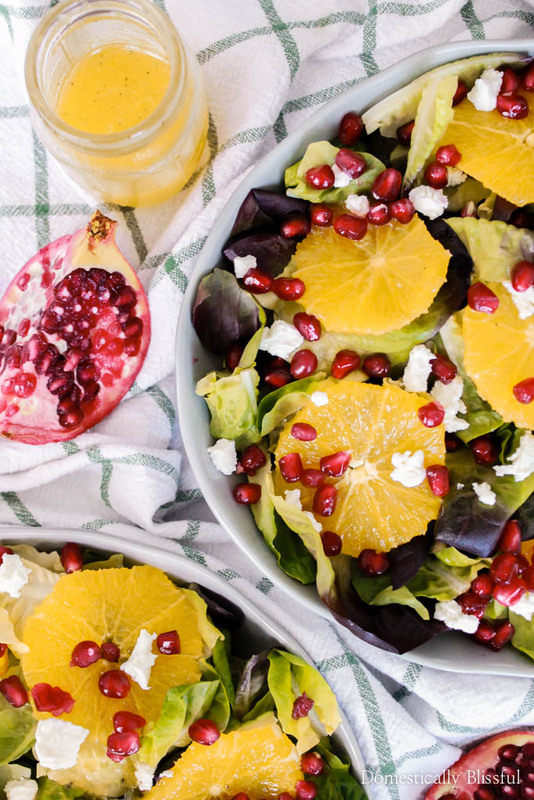 This looks absolutely beautiful and delicious!